Justin Torner Photography | IC West's Melvin Chatmon (44) drives to the basket past Shane Green (45) of Waterloo East in the second half of play on Tuesday night. #1 ranked West won 85-37. 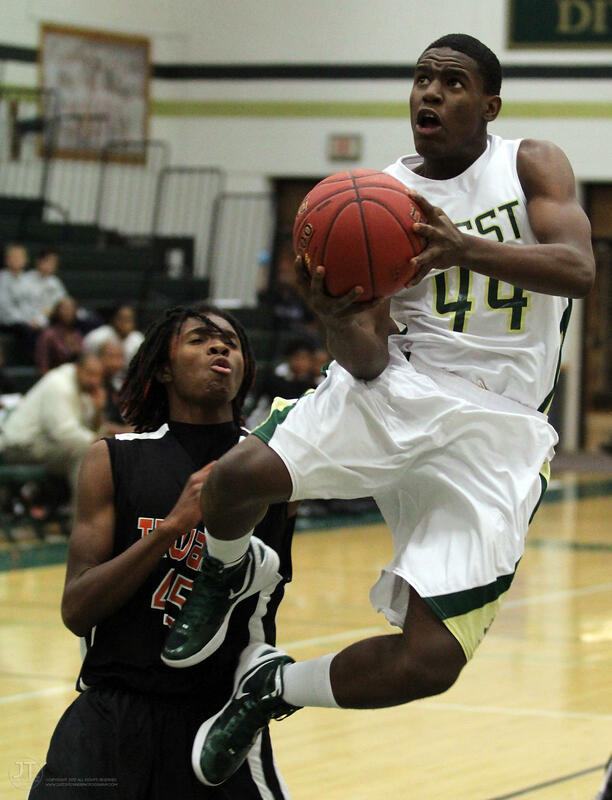 IC West's Melvin Chatmon (44) drives to the basket past Shane Green (45) of Waterloo East in the second half of play on Tuesday night. #1 ranked West won 85-37.